"Just folk enough to sound authentic and just pop enough to keep the attention of the ever-shuffling iPod crowd." 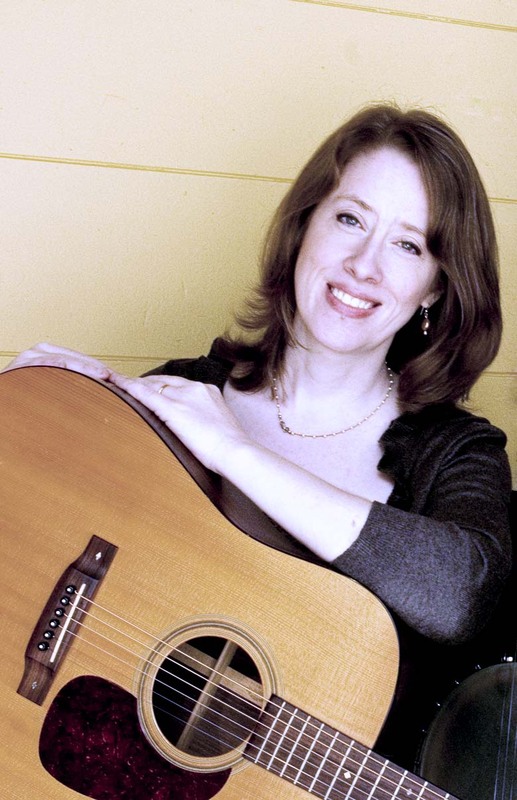 Jenny Goodspeed is a singer, songwriter, and vocal arranger based in the Pioneer Valley of Western Massachusetts. A founding member of Americana harmony trio The Boxcar Lilies, she regularly performs with the band, playing bass and guitar and creating harmony arrangements for many songs in the band's repertoire. Goodspeed began writing and performing songs in Colorado during the rich Boulder/Denver acoustic music scene of the mid-90s where she played local venues and festivals and recorded a demo with respected producer Patrick Brickel (Greg Brown). After moving to Western Massachusetts in 1999, she unexpectedly rediscovered her love for theater and spent the next decade acting with local theater companies. All the while, she continued to write songs, quietly hone her craft, and occasionally perform live. In 2007 a concert presenter heard Goodspeed sing at a festival and offered to finance a CD. The end result was the release of her debut album Under the Ash Tree, a sparkling fusion of folk, pop, and Americana drawing on influences from 70s era singer-songwriters like Joni Mitchell, Bruce Cockburn, and James Taylor. Under the Ash Tree debuted at #12 on the Roots Music Report Folk Top 50 and spent five weeks in the Top 20. Songs from the record were added to over 100 radio stations in 30 states and earned Goodspeed finalist slots in numerous songwriting competitions including the 2009 Falcon Ridge Emerging Artist Showcase and the 2009 Mountain Stage NewSong Contest. recordings, and other creative collaborations.